In order for the US economy to bounce back in 2013, the domestic shipping industry needs to play a big role. Supply chains and manufacturers across the US are looking to cut back and trim their budgets in 2013, in order to meet the demands of their customers. 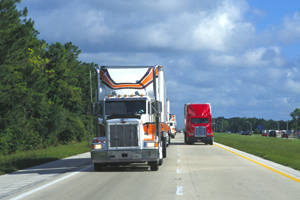 LTL trucking will be an important factor for these businesses in 2013. For example, a good LTL freight quote might determine the shipping costs for businesses in the US. Thus, the trucking industry must respond. Even US freight forwarders are responding to the 2013 economic conditions by continuing to invest in new shipping technologies. After all, instant LTL freight quotes online supply many US businesses with an efficient way to save money and time on domestic shipping. Hopefully the US economy will grow in 2013 and the domestic shipping industry will be at the center of the economic growth.